I've provided tech support for Merle and Amy Herr of AgSalt for years. After AgSalt asked Rosewood Marketing (Myerstown, PA) to design a website as part of a marketing campaign included print and web media, they asked me to host the site. 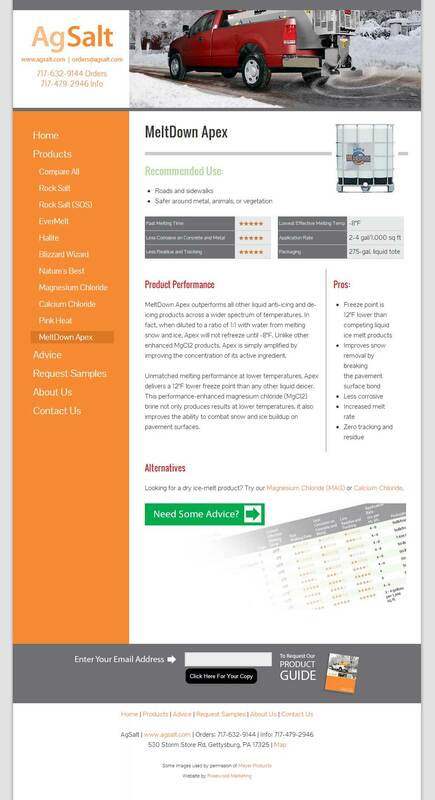 At their request I also customized the site menu and added detailed content for each product. The site includes product information, advice on ice melt products, and a downloadable product guide with email registration.